I mentioned this foundation in my Ulta Haul at the beginning of November. This foundation has been out for a couple of years but I was never able to purchase it because dark shades were not available. Both Ulta and Wet N Wild now have dark shades available online only. Like I mentioned before, I am not a fan of the dark shades only being available online. I had to purchase two different shades because I was not sure which one would match me. 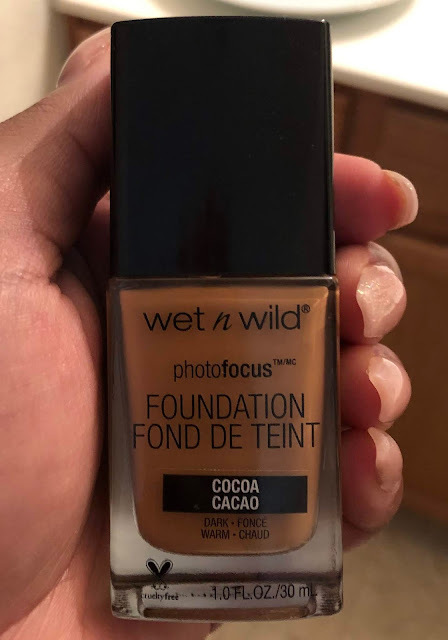 This foundation retails between $5-7 at drugstores, Ulta, and Wet N Wild's website. FORMULA: The consistency of this foundation is thin and liquidy. I usually do not have an opinion on how thick or thin a foundation is but I do with this one due to the packaging. This foundation comes with a spatula applicator that can kind of be a mess if you are not careful due to how runny the product is. 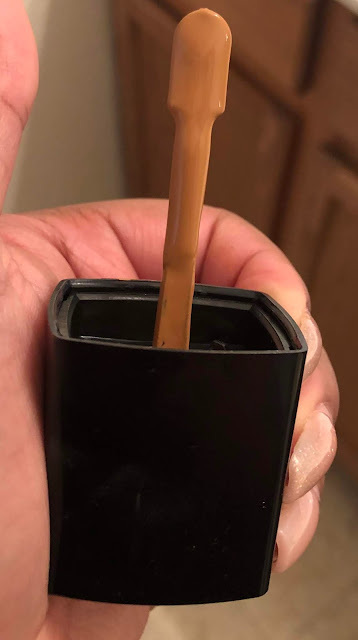 I have mentioned before in my Makeup Revolution foundation review I HATE applicators like this for a foundation for hygienic reasons. I remember people were complaining about the smell of this foundation when it was first released but I forgot about it until I was finally able to try it. It does smell a little paint like in the bottle but I do not notice it at all when I am applying it to my face. COVERAGE: This is definitely a medium coverage foundation. No matter how much I applied, I could still see a few of my imperfections peeking through. 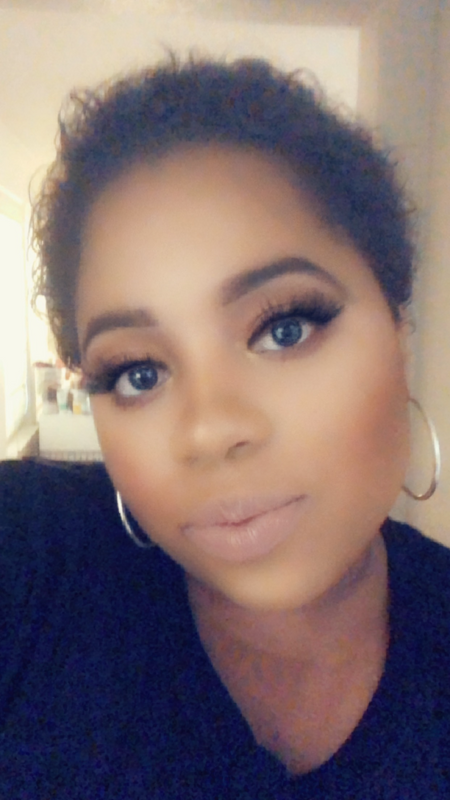 I only used a brush with this foundation and I noticed you have to blend this foundation in very well or else it can look a little streaky because of how thin it is. WEAR: This product is advertised as matte and is supposed to look excellent in several different types of lighting for photos. I wore this foundation for five days. The first day I wore it, I lightly set it with my translucent powder and avoided blotting to test how matte it was. I was not 'wowed' at how my skin looked right after I applied it. I could still see some of my acne scars peeking through (even after a second layer) and some texture. After hour three or four hours of wear, I noticed I looked a bit dewy. By hour eight, I looked like a grease ball. The second time I applied the foundation I used a generous amount of translucent powder to set my face. After a couple of hours, I looked slightly dewy but it looked healthy. I ended up blotting my face after hour six because the dewiness was too much for me. I also noticed the foundation was cracking pretty bad around my smile lines. Throughout the rest of the week, I continued to set the foundation very well and blotted a couple times throughout the day. FINAL THOUGHTS: This product is just 'meh' for me. I don't hate it and I don't love it. I was not super impressed with how it made my skin look and I did not love the fact that I had to blot so frequently throughout the day. I just noticed today I am breaking out on my forehead and I think it is because of this foundation. In my opinion, this foundation is perfect for someone who has a normal skin type, is not acne prone, and does not need full coverage.